President Donald Trump asked Saudi Arabia and the United Arab Emirates (UAE) to give up military action against Qatar, which has been embroiled in a diplomatic row with its Gulf neighbors, Bloomberg has learned. Two sources familiar with the US President’s discussions, who asked not to be named, told the US media that Trump told Saudi and Emirati leaders to back off with the military plan arguing that it could trigger regional crisis that would benefit Iran. Saudi Arabia, UAE, Bahrain plus Egypt have severed ties with Qatar since June 5 after accusing the small gas-rich monarchy of sponsoring terrorism. The four cut off air, sea and ground links with Qatar and issued a list of 13 conditions to be fulfilled before normalizing the ties. Qatar has rejected the accusations and deemed the conditions unrealistic. The sources did not say when Trump sent the warning but leaked emails dating back to May 2017 between UAE ambassador to the US, Yousef Al-Otaiba and US diplomat Elliott Abrams revealed that Saudi Arabia, under King Abdullah bin Abdulaziz who died in 2015, contemplated a military action to change the Qatari regime. Abrams who was President W. Bush’s deputy assistant told the Emirati official that President Obama would not have supported the action. Abrams added that the new guy in reference to Trump could support it. 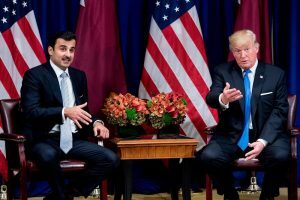 President Trump Tuesday met on the sideline of the UN General Assembly, with Qatar’s ruler Sheikh Tamim bin Hamad Al Thani and reiterated Washington’s commitment to help defuse the diplomatic crisis. 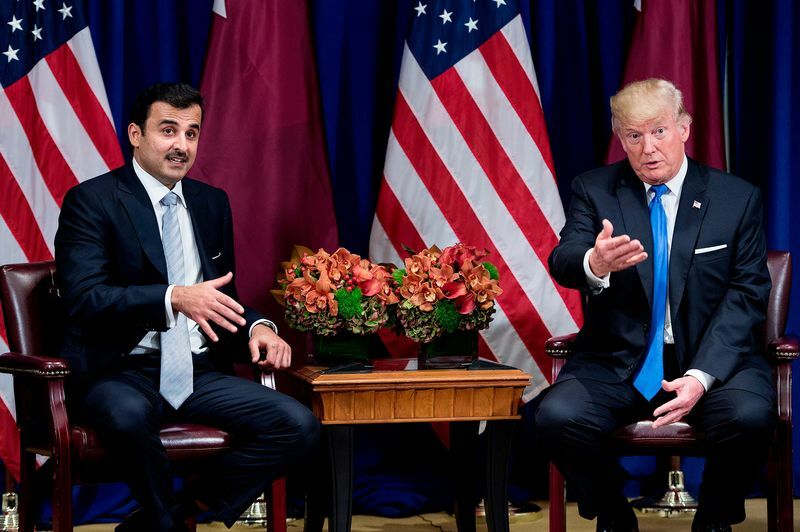 Asked whether he warned the Saudi-led group against militarily assaulting Qatar, Trump denied having said that.